Divorce is difficult for both sexes. It’s an emotional and physical. Legal separation and dissolution of marriage often results in major life changes. Men and women both experience many of the same emotions before, during, and after divorce, but men often face unique challenges that aren’t as common among their female counterparts. 1. Loss of identity—Many men build their identities around two things: their jobs and their families. Losing either can be devastating. While men may still retain visitation rights or even custody of their children after divorce, they often struggle with the change in family dynamics and new living arrangements for themselves, their children, and their former spouses. 2. Smaller support network—Men’s relationships with extended family members and friends are often less robust than the ones women build throughout their lives. In fact, many men rely on their wives for emotional support. When they go through divorces, men can feel alienated and alone. It can be difficult for men to open up to people, even longtime friends. 3. Assumption of blame—Divorce can carry a stigma for both sexes. Even amicable splits can cause people to assume that the relationship “failed” in some way. But in many cases, men bear the brunt of the blame, even if they were attentive and caring husbands. It’s an unfair stereotype, but many men deal with it in everything from family events to divorce court proceedings. 4. Greater loss of financial resources—Although the balance in earnings between genders is changing and more and more wives are earning similar or even greater incomes than their husbands, men in general still tend to be household breadwinners. Men who get divorced almost always see a substantial portion of their income allocated to their ex-wives and their children, forcing them to adopt to radically different standards of living. 5. Shorter grieving period—All losses in life must be properly grieved. Whether it’s the death of a loved one or the end of a marriage, all parties involved must take time to process what happened, lament their losses, and begin looking towards the future. 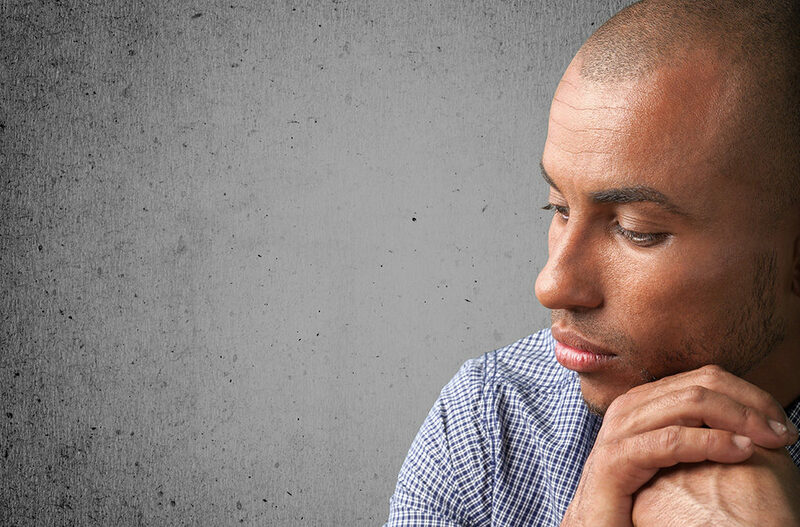 However, men are more likely to “push through” the grieving process, leaving it incomplete. That can result in bottled up anger, depression, and resentment. 6. Poor health—Men are more likely than women to engage in risky behaviors that can cause them to experience health problems, especially during and after divorce. They may eat unhealthy foods, smoke and drink more, or become less physically active. In addition, they may put off doctor’s appointments or fail to get potentially serious symptoms checked out, which can lead to diseases progressing and worsening over time. 7. Trust issues in future relationships—Because men often find it more difficult to talk through their divorce-related issues, they may carry anger, resentment, and trust issues into new relationships. Some men swear off marriage altogether after bad divorces, while others may be extremely hesitant to take the leap with someone new, even years after their divorces were finalized. The combination of reduced assets, reduced time with children, and the general feelings of isolation that men experience after divorce can be extremely difficult to handle. That’s why it’s important for men to develop a support network that consists of a trusted confidant, a mental health expert, and an attorney who knows the unique challenges that men face during divorce. André Ausseresses at the Law Office of André J. Ausseresses APC and his team fight for men’s rights throughout the divorce process. We know the uphill battle that many men face when their marriages end, and we do everything in our power to help men get a fair shake from the day their divorces are filed until the day they are finalized. Get in touch with us today—just call (949) 244-8871 or submit an online contact form to get a free initial consultation. Don’t wait to get the experienced and dedicated help you deserve—call today and let us put our experience and track record of success to work for you.